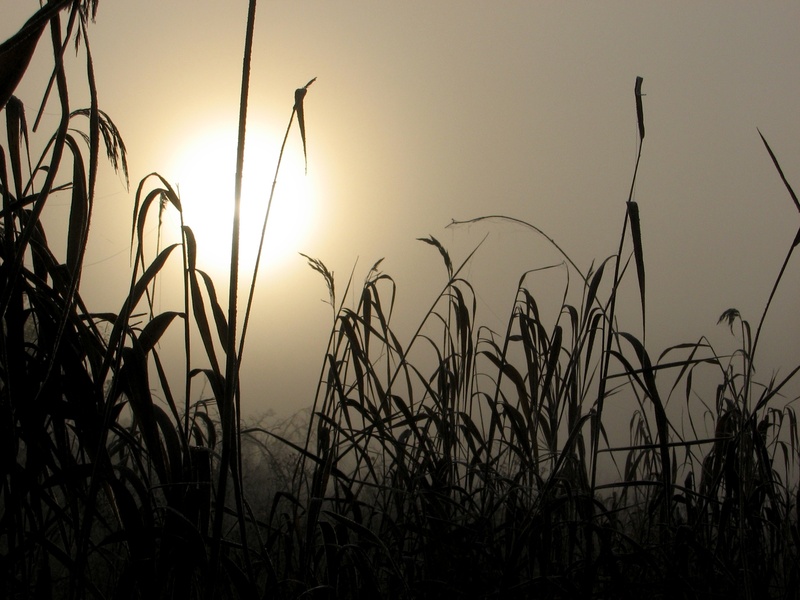 These photos and paintings are from a duck hunting trip in the Whiteshell. These images are perfect examples of Aron’s ability to replicate photos with artwork. 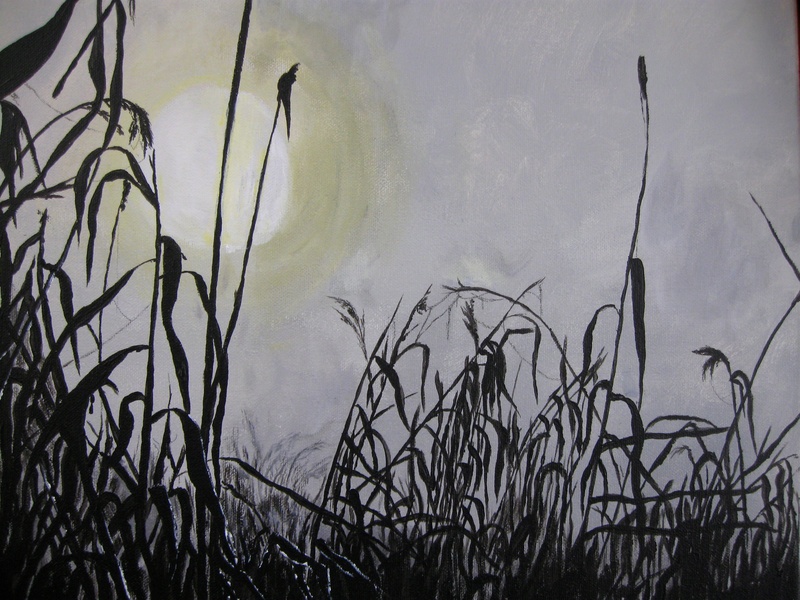 The first painting captures the early morning mist rising off the lake as they boat to their hunting spot, and the second painting portrays sitting in the bulrushes and waiting for ducks to fly overhead in the early morning sunrise. 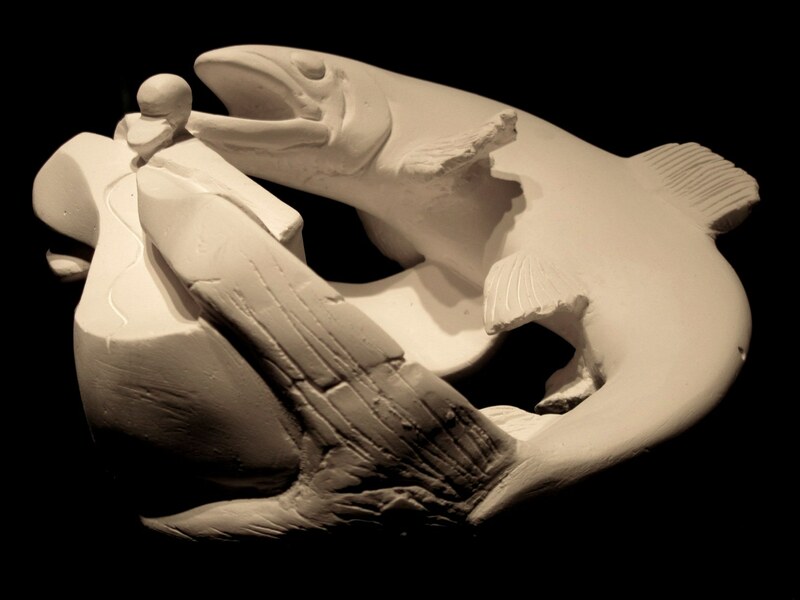 This trout fish sculpture was done in winter 2009 using a 8″ radius ball of plaster. 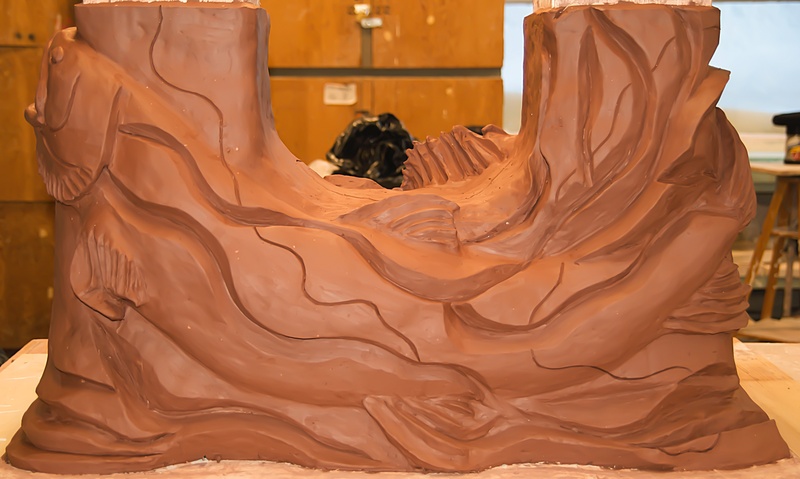 It was Aron’s first sculpture and may be his best to date. 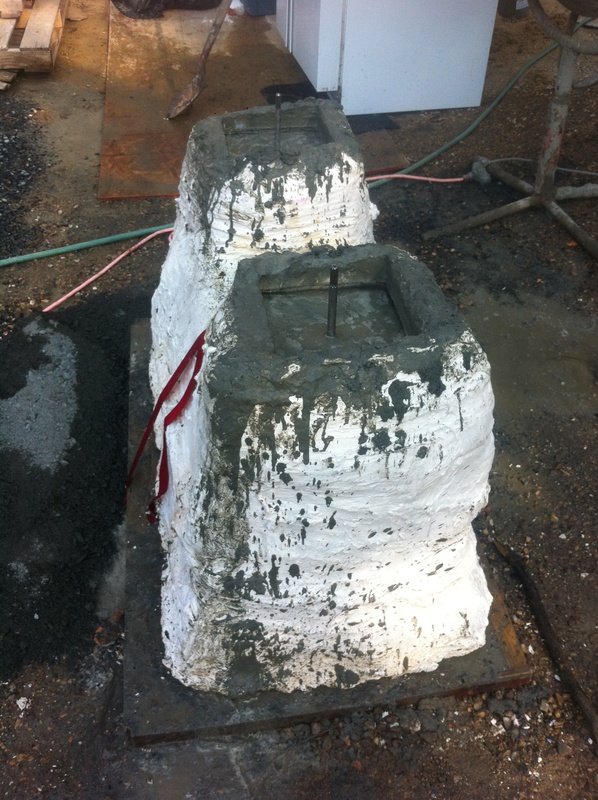 He began the project by poring liquid plaster into a plastic bag. 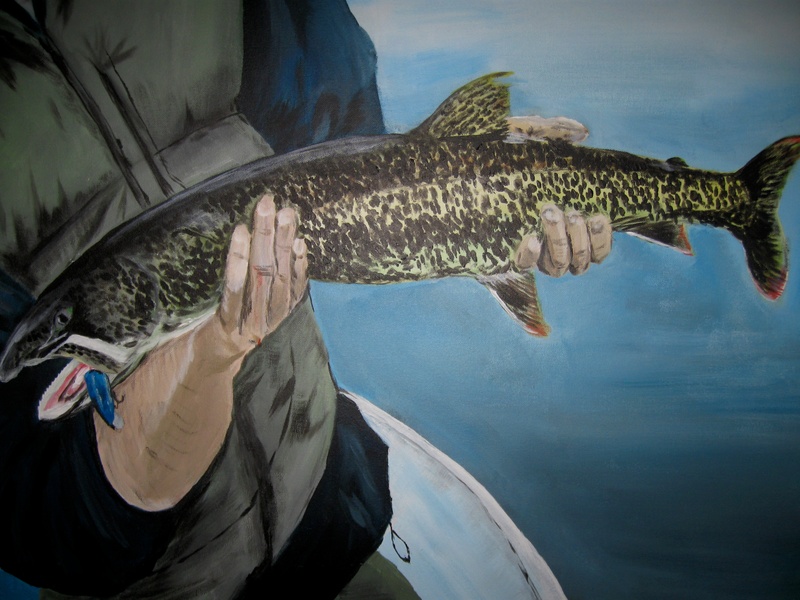 This painting replicates a lake trout caught during an October deer hunting trip on George Lake. 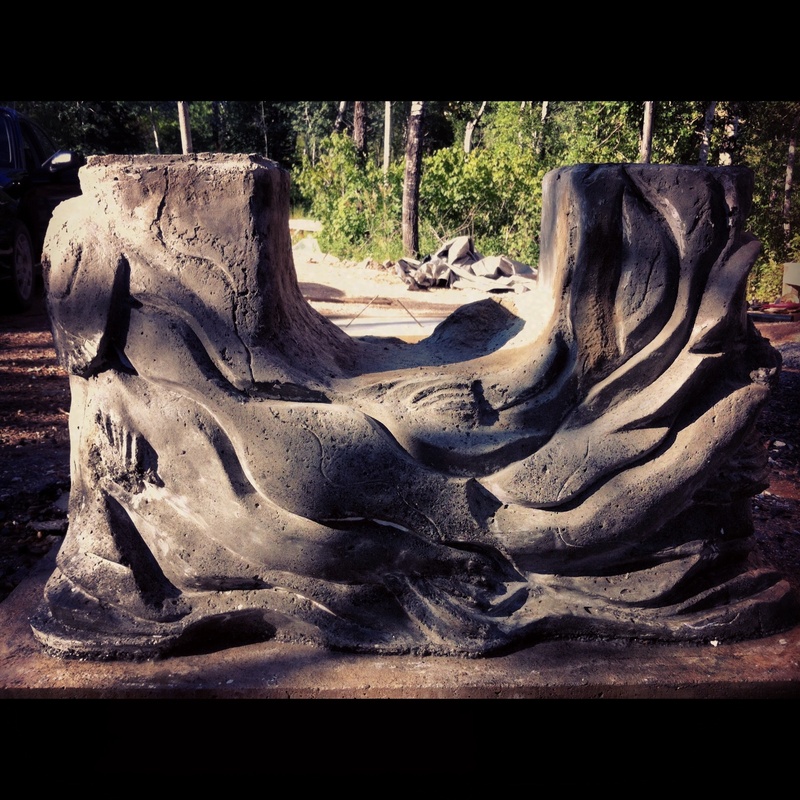 These are two beautiful post foundation sculptures that are in-progress at Caddy Lake. 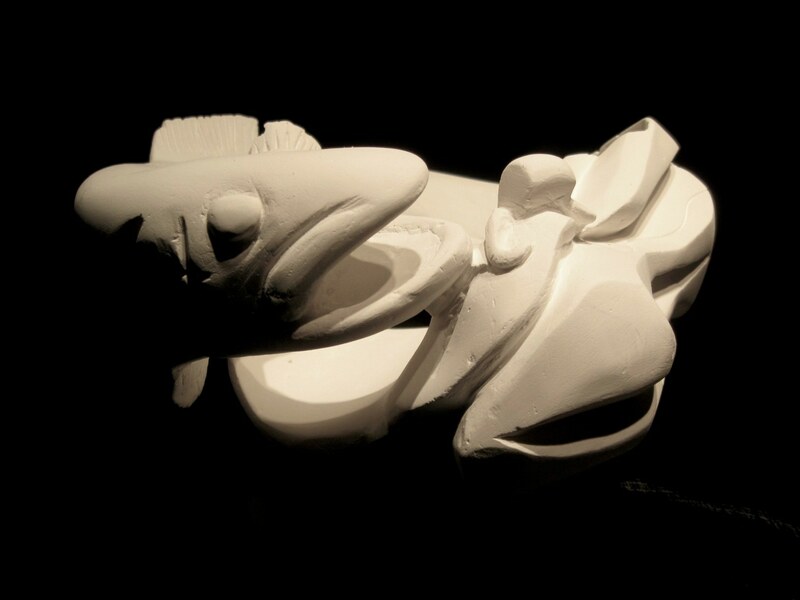 The inspirations of these sculptures stems from a passion of fishing in the Whiteshell and from the concept of integrating water and fish. 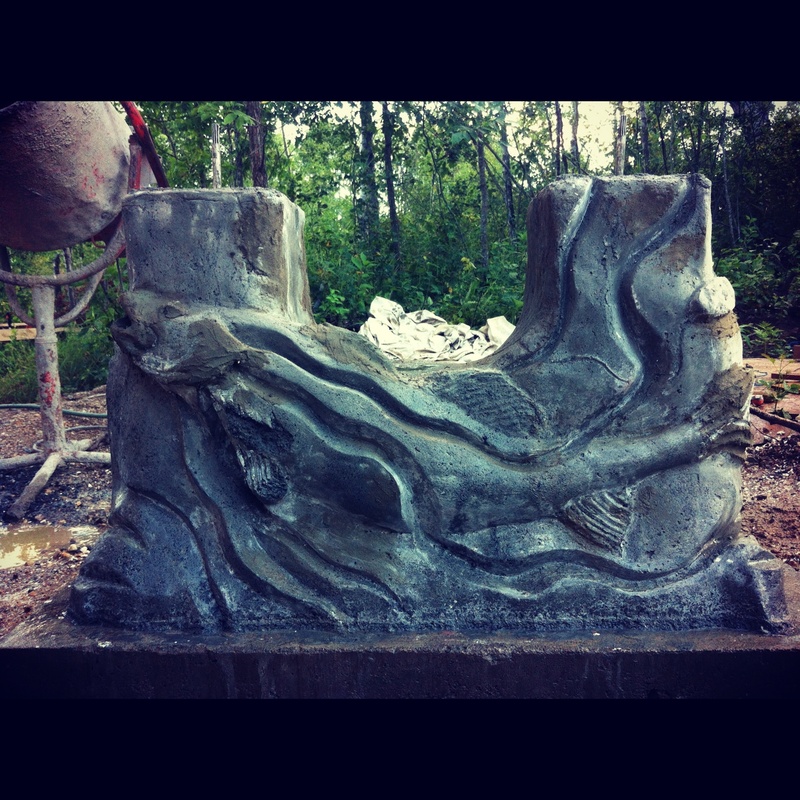 The sculptures are of two popular species in the area: Lake trout (see top photo) and walleye. 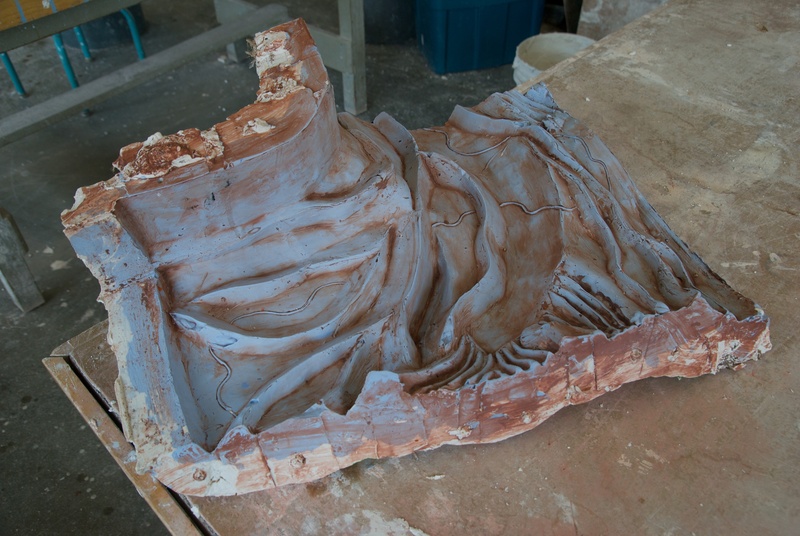 The project started from carving away at a solid piece of plaster. 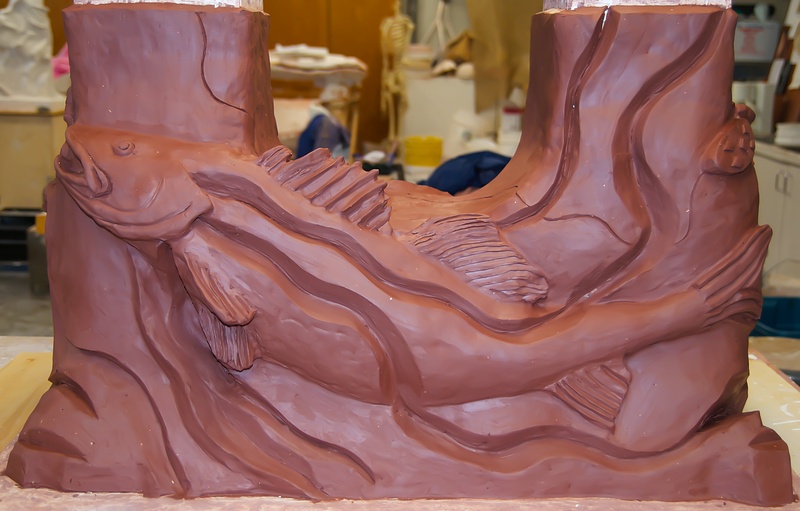 With this project, Aron intended on using the two different species of fish and the flowing water as a geometric pattern by using deep cuts into the clay. 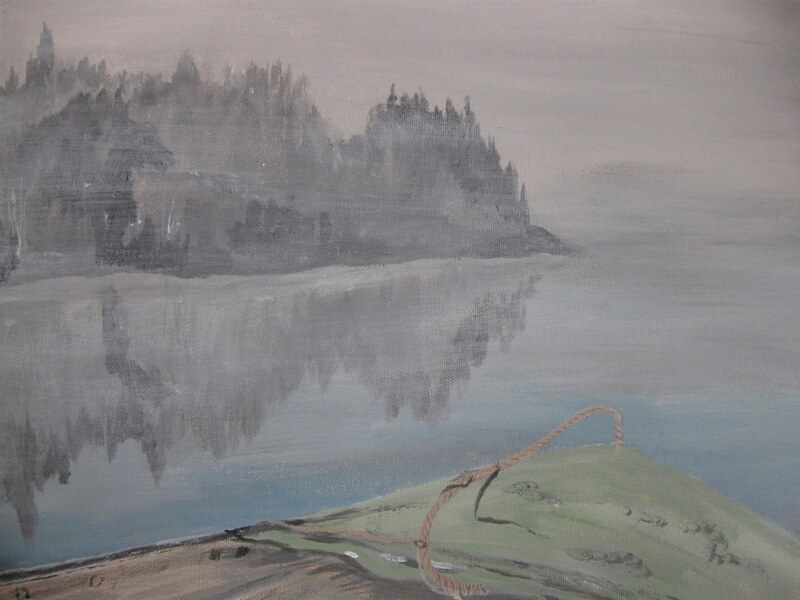 You can see more of Aron’s work at aroncoates.com. 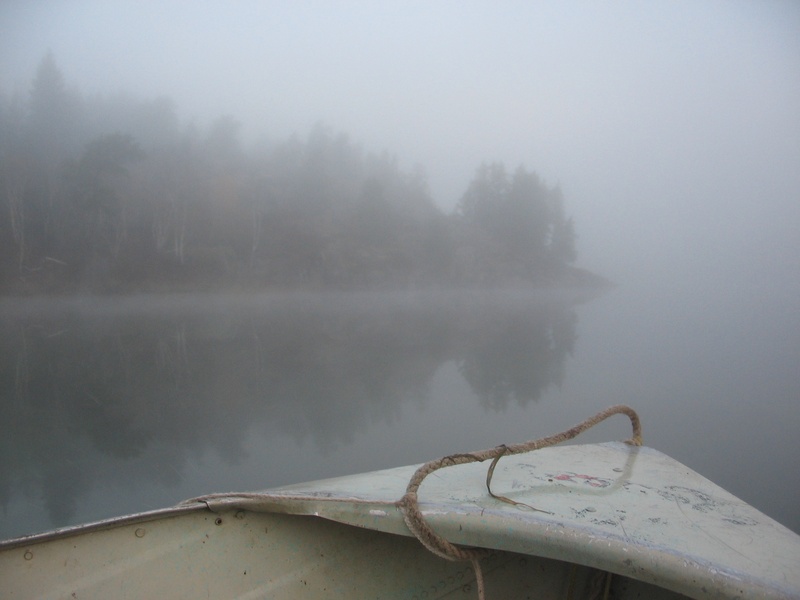 This entry was tagged Architecture, Aron Coates Fine Art Studio, Caddy Lake, Construction, Deer Hunting, Duck Hunting, Ducks, experience the whiteshell, Fish, George Lake, Lake Trout, Nature, Paintings, Sailing Lake, Sculptures, Walleye, West Hawk Lake, whiteshell provincial park. Bookmark the permalink. Unfortunately, it is impossible for photos to really demonstrate the beauty of the artwork.